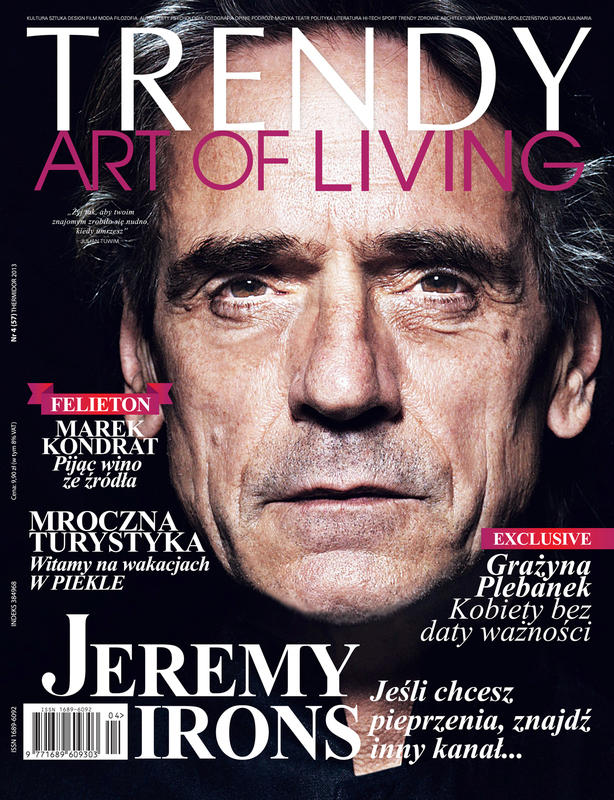 Jeremy Irons is featured in the August 2013 issue of Trendy Art of Living Magazine, issue Nr4(57), from Poland. 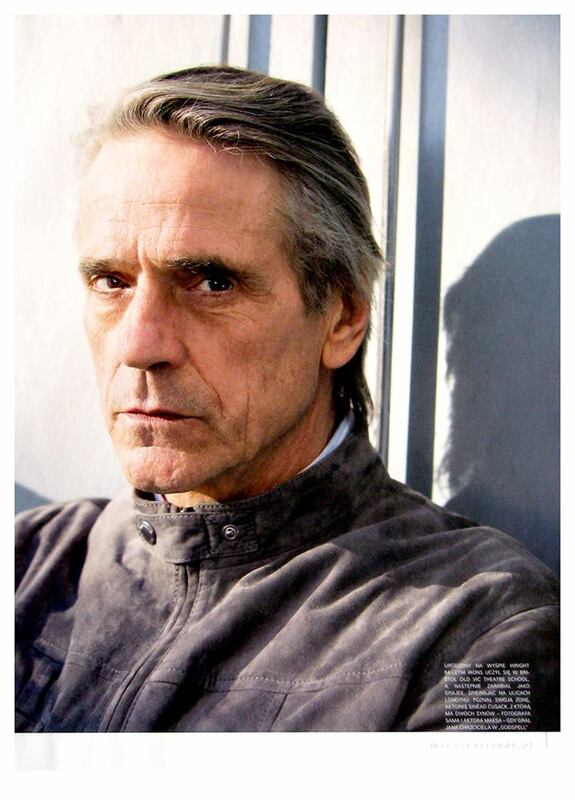 Prison Phoenix Trust patron Jeremy Irons was at HMP Grendon on 11 July 2013, as part of the Trust’s 25th Anniversary Celebration. 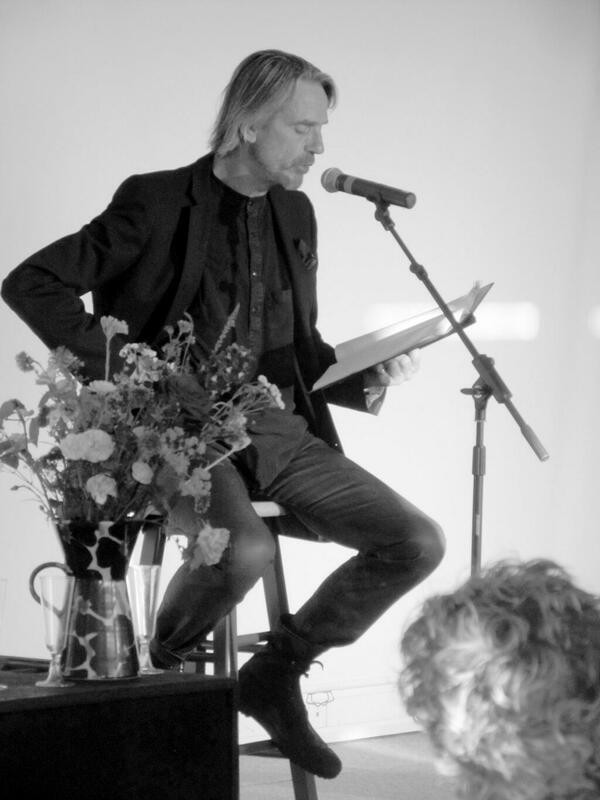 Jeremy read excerpts from letters by prisoners who have written to the Trust. 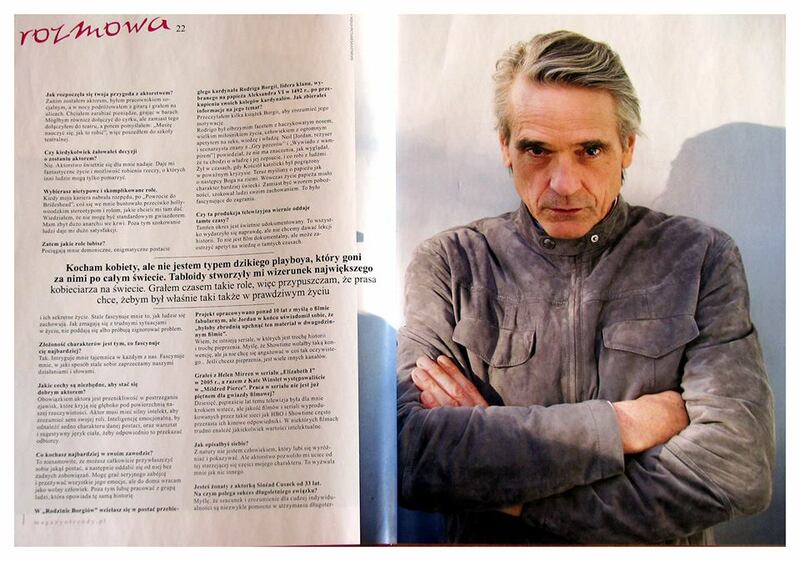 He also read from Shakespeare’s Richard II. Audio clips have been made available by the Prison Phoenix Trust. IT MIGHT seem bit of paradox, but the best way to see Ireland’s raw, elemental natural beauty is to leave the place behind you, in your wake. You don’t have to go far, mind, to see sheer splendour: a half a mile, a few miles, or in nautical terms, a league or two off the island’s coastline will do in many cases, opening up a fresh, new, waterborne perspective — new horizons, literally. World traveller, actor and sailing fanatic Jeremy Irons has rightly described his home patch of water along the West Cork coast as “a promised land for leisure sailors”, raving about the amazing scenery, the setting and most often, the solitude. And, Irons calls for more shore-based supports to build marine activity and visitors, such as marinas and berths to fill in the gaps on the shoreline. Other sailors and old salts note that the country’s dramatic west coast and islands also need marinas to lure and shelter sailors from near and far. For such a small country, we have unfathomable riches of coastline, especially if you follow every indent of shoreline, visit every cove, peek in a cave, land on an island, balm on beach, whale or birdwatch, or scale a small cliff or promontory upon landing. As a nation though, we are only very slowly rediscovering our maritime heritage: you can tell from the surfboards and kayaks on roof-racks, and from dinghies and RIBs on trailers behind family cars or jeeps that we’re taking to the rivers, lakes, estuaries and ocean waves in ever-increasing numbers. 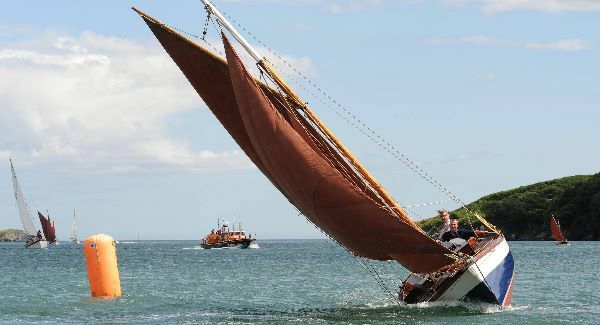 Cork’s Ocean to City event has brought hundreds of previous landlubbers to the Lee, and it’s a racing certainty that the recently-discovered love of being afloat will in turn bring people now from the city to the oceans, in return. Many of these fast-growing, burgeoning and thrilling sports literally just skim the surface of possibilities: there’s a way to go further and deeper. It’s cruising. And it doesn’t just have to be for the elite, or the wealthy. Essentially, cruising (stop sniggering at the back!) is travelling by boat, either by motor or sail, and the term generally refers to trips lasting several days at least — during which you can cover lots of ground by water, if you get the drift. Sailors have the option of using marinas and established ports bringing trade to bars, shops and restaurants, or just dropping anchor at will at a beauty spot, or a mix of both. Cruising has long been popular in Ireland, gathering pace in the 1960s, even more so in the noughties, and now is having a bit of a halcyon era, reckons Gail McAllister of the Irish Sail Association, who was cruise co-ordinator for the Gathering Cruise 2013. That two-week Gathering event unfortunately hit the news for all the wrong reasons as the Dutch Tall Ship and training vessel the four-master Astrid hit the rocks outside Oysterhaven. Fortunately, all 30 aboard the Astrid were rescued in jig-time, thanks to super-prompt and reassuring attendance by Kinsale and Courtmacsherry RNLI and other emergency services: the cruise for the other 50 boats was, however, incident free, and largely blessed with great weather too. At any one time, about 80% of the cruising craft along our scenic shores will be Irish-owned and based, and visitors from further afield typically are British, or French, while Germans sailors who come here tend to charter boats from Irish ports, says the ISA’s Gail McAllister who is based in Adrigole in West Cork. She said the event had put solid legacy foundations down to build Ireland as a cruising destination, with considerable international interest built up for future flotilla cruises. One attraction of the Gathering Cruise was safety in numbers, companionable company, and the chance to try unexplored waters for many of the 50 boats’ sailors. Many of the skippers had never before been beyond a port or two from their home bases: “they felt a little bit safer, a little bit more secure”, McAllister notes. The event will build over future summers, with a large flotilla gathering envisaged every four years, and smaller, annual ones as well. Interest garnered for the 2013 maiden flotilla cruise was considerable, followed internationally on logs, blogs and on Facebook. A UK couple, Dave and Carole Winwood from Poole last sailed off the Irish south-west coast 15 years ago, revisiting with a friend Phil Bewl, on a six-week voyage that now sees them Galway-bound — a change from their traditional sailing waters like the Channel Islands, Isle of Man, Brittany and Vigo in Spain. “It’s been great fun and we’re spreading the word about Ireland,” they promised. According to John Leahy, commodore of the Cruising Club of Ireland, the typical age of those who go cruising is from 40 to 70, an age profile dictated to in part by the cost of boats, and the time involved, though crews can be of any age, and voyages of any duration. The Gathering saw one sailor, Dubliner Betty Dunne, celebrating her 80th birthday on the water and on shore at Oysterhaven. Boats can typically cost €25,000 upwards, but more basic ones can be bought for the price of a second-hand car: €5,000 can see you out cruising in safety. Those without boats can join Irish charters or sailing courses, at prices from €500 to €1,000 — competitive with the likes of Greek or Croatian charters. Not only are more people than ever making trips up and down the incredible coastline, whale and dolphin watching en route, they are served by a bigger than ever choice of support services, from marinas and pontoons to useful, cheery yellow ‘visitor moorings’ for casual arrivals. They are aided and assisted by GPS and other electronic navigation and weather-informing aids, while a potentially life-saving smartphone app, a position monitoring aid called ‘safetrx’ has just been launched with Irish Coastguard back-up. The Gathering Cruise finished up in Dingle last weekend, with seven of the 50 boats that started in Dun Laoghaire then facing either a return trip or a continuation of a round-Ireland voyage. One crew that had decided to stay in Kinsale and not chance the Mizen rounding instead got a bus to Cork, hired a car and drove to Dingle for the final wrap party, part-sponsored by Dingle Brewery Company, and their Tom Crean beer. Tom Crean? Now, didn’t he really push the boat out? 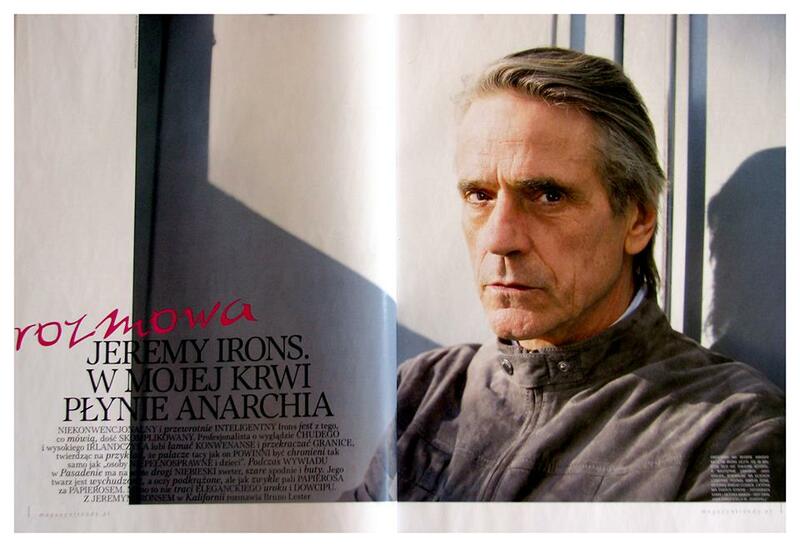 Max Irons is featured in the August 2013 issue of DuJour Magazine. 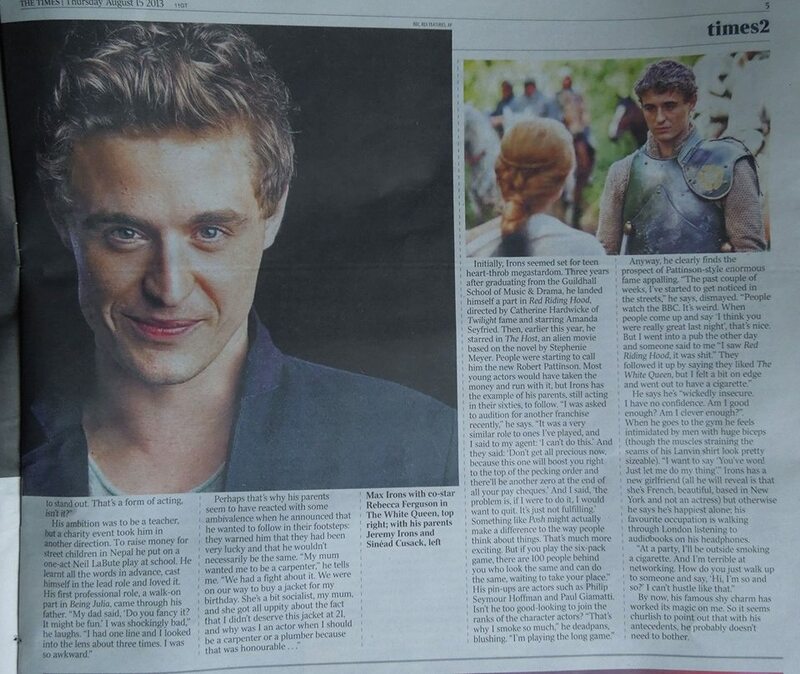 Strange things happen when Max Irons sleeps. 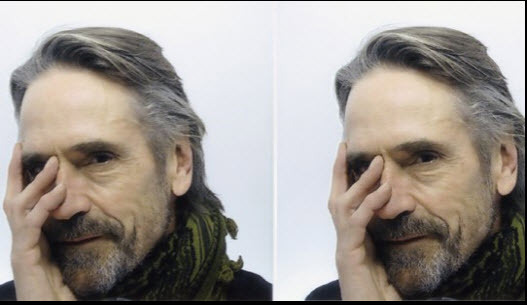 Blame melatonin for what’s going on at night with the jet-lagged actor, who’s on a jaunt to New York from his home in London. His other dreams, however, the ones that are coming true, can only be attributed to hard work—and more than a pinch of good luck. In August, the period dramaThe White Queen (adapted from the Philippa Gregory novel) will debut on Starz, beaming Irons’ fetching mug into millions of homes. Following that is an Antonio Vivaldi biopic with Irons as the Italian composer, and Posh, a look at an Oxford secret society, from An Education director Lone Scherfig. 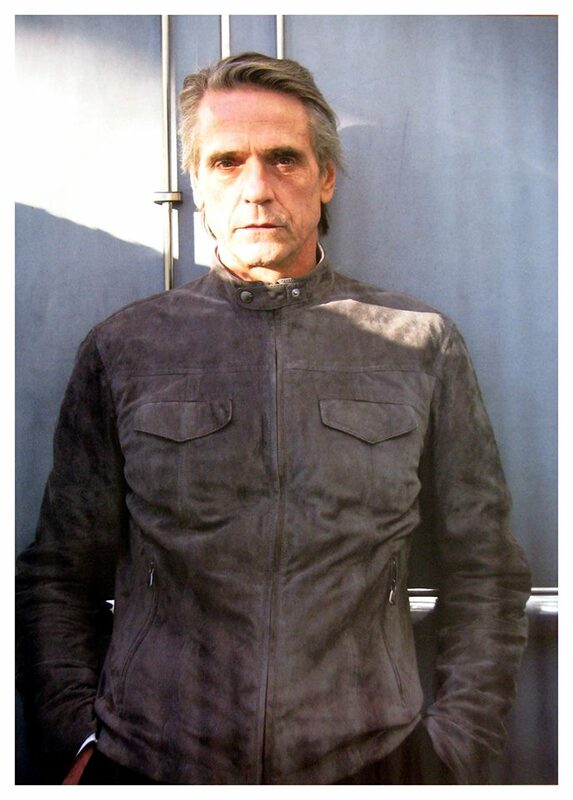 Indeed, Irons seems poised to become that most dreamed-about thing: a serious, successful actor. It certainly is. During the series’ first season, Irons’ Edward—who, like the actor, was known for his height and good looks—progresses from the tenderfoot monarch whose reign, beginning in 1461, was bloodied by the War of the Roses to a seasoned king presiding over a peaceful land until his untimely death at the age of 41. Along the way, the series’ titular regent, who is Edward’s wife (played by Swedish stunner Rebecca Ferguson), complicates matters as a powerbroker in her own right. 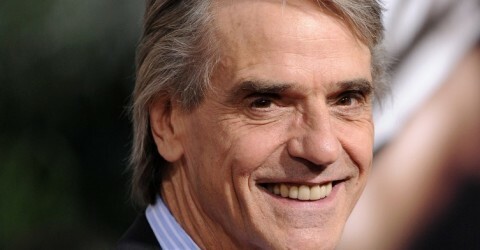 Indeed, the decisions that Irons is making now will shape what he hopes will be a decades-long career. 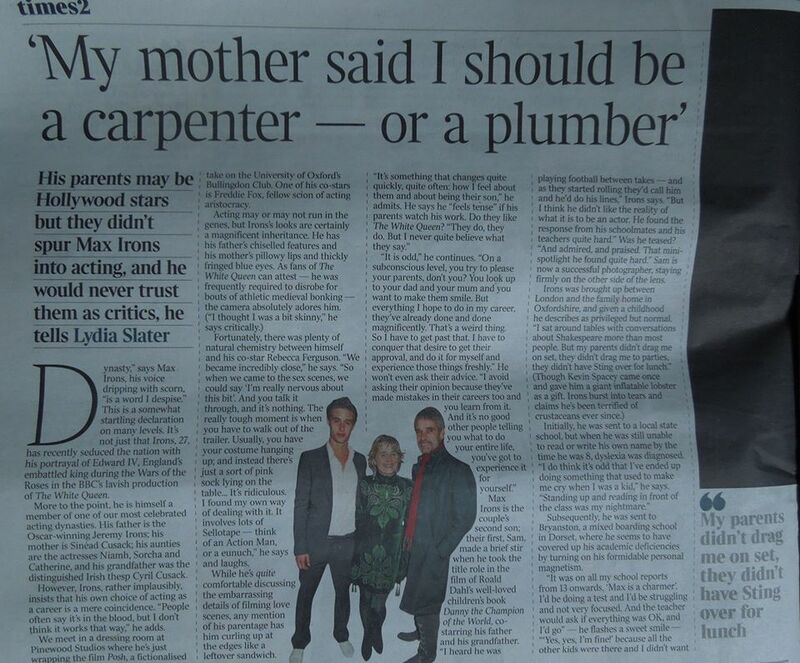 And if Edward IV can teach him anything, it must just be how to survive life as a movie star. 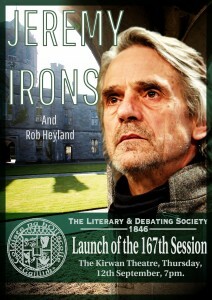 Jeremy Irons will participate in the Launch of the 167th Session of the Literary and Debating Society of NUI Galway. speaker of the 167th session of the Society. 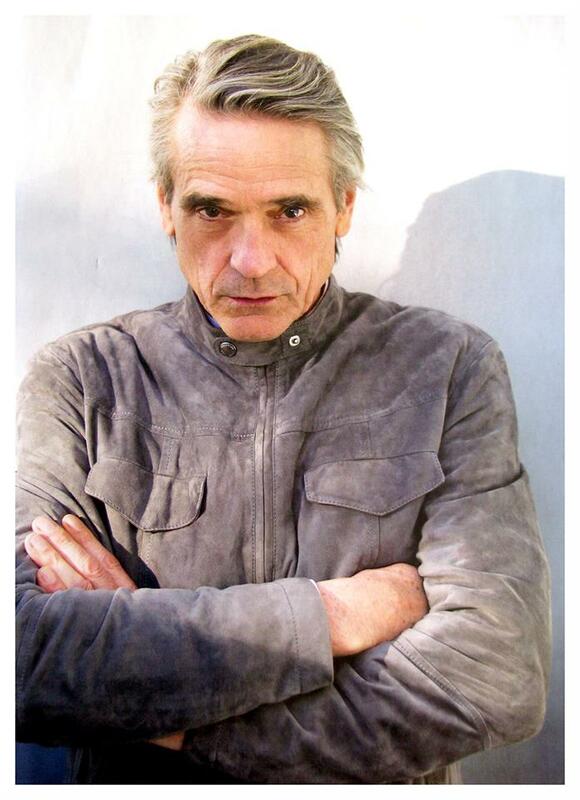 Mr Irons will be joined by British actor and television writer, Mr Rob Heyland and both men will address the Society on the responsibility of the privileged to help shape our societies. The Auditor will chair the meeting and the address will be followed by a question and answer session leading into a period of Private Members’ Time. 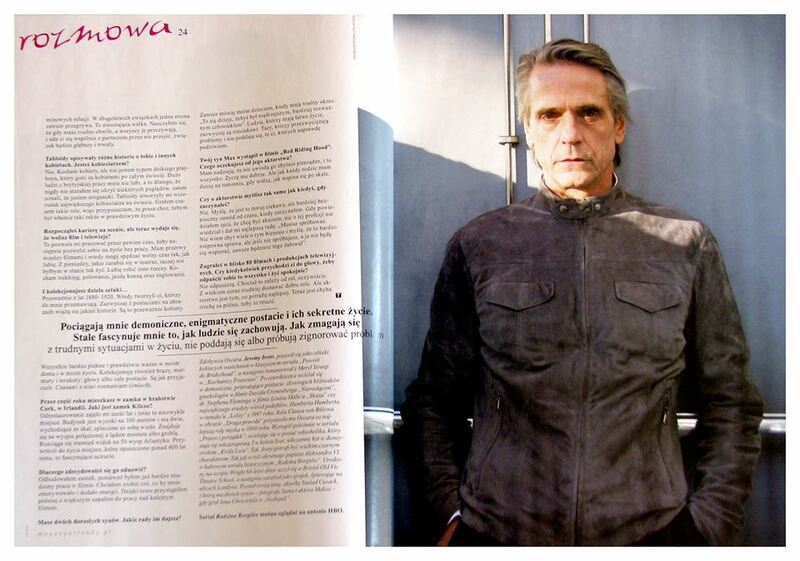 With a background as a British television actor including The Professionals and One by One, Mr Rob Heyland turned his mind to observing and writing with involvement in such shows as Foyle’s War, Have Your Cake and Eat It and Ultimate Force. Regarded highly as a prolific social thinker, Mr Heyland’s insights and vision is something to look forward to. commitment to public discourse, his determination to stand publicly for person-focused society and his work with Evidence for Development make this event an exciting launch to a great session. Come early as crowds are expected and places are limited. Come along and let the games begin!